WARNING: This article contains spoilers, and opinions. Majora’s Mask is something of a mystery to players and there are a myriad of theories out there. Here I’ll discuss some of my own interpretations without offering them as fact. When the opportunity came up to select my Origins title there was only one game it could be. 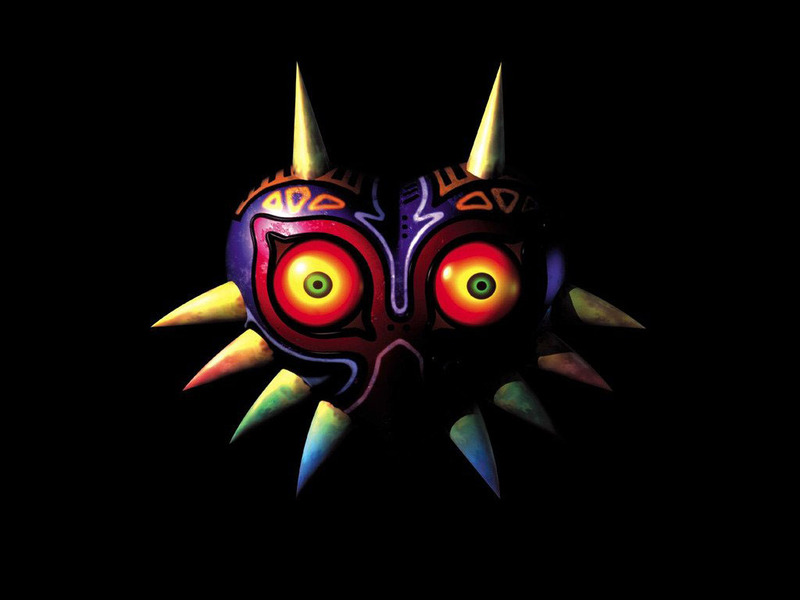 Without hesitation I elected to write about The Legend of Zelda: Majora’s Mask. I’m a giant Legend of Zelda nerd and Majora’s Mask is my favorite game. I enjoyed it as a kid who didn’t even really know what the heck she was doing, and I continued to enjoy it as I grew older. It’s a game I appreciate more with every play through. There is so much I love about this game, it’s hard to pick which things are the most important and which things will probably be left out due to my tendency to go on about this game. For those of you poor people who know nothing of Majora’s Mask (for shame!) it takes place directly after Ocarina of Time, in a land known as Termina. Link has left Hyrule to search for his beloved and in no way annoying friend Navi. He’s ambushed in the woods, his horse and ocarina stolen, and turned into a Deku Scrub. Things are looking pretty bad before he gets to Clock Town and finds out the moon is going to crash into the earth and destroy it something fierce in three days. At that point things look a lot worse, and Link sets off on a quest to defeat the evil trapping the four guardian Giants of Termina, so they can stop the moon. This synopsis brings us to the first thing I’d like to talk about. The Moon. The Moon of Majora’s Mask… tends to leave quite an impression on people. Its fierce expression is both creepy, constipated and fear-inducing. I must’ve been some sort of weirdo kid, because when I first played Majora’s Mask (at the tender age of 9) I wasn’t frightened of the Moon. Okay, maybe I was at first, but since I was really bad at dungeons I tended to play on my brother’s file (it was his game, his system) which was farther along and just do the side quests. So much side questing. One of the side quests is an item trading one, and the first item you need is the Moon’s Tear. To this day I don’t know for sure why the Moon cried. Could it have been the constipation? Is he sad because the impact will destroy him as well? Perhaps. 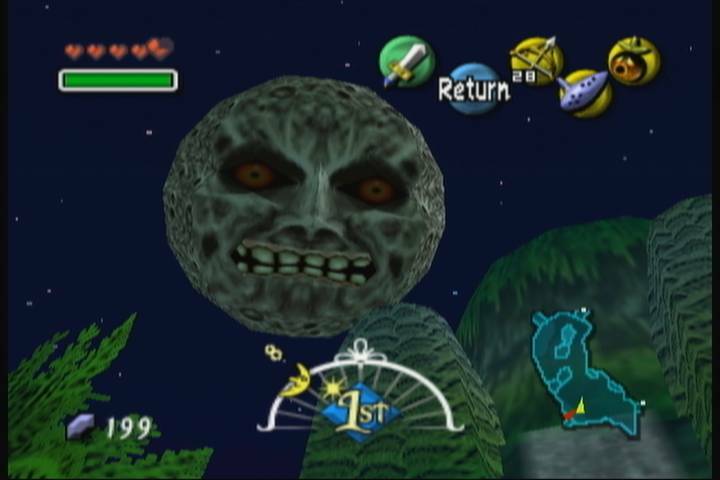 But I always thought the Moon was just a nice guy, who didn’t want to destroy the earth, but was unable to fight the evil of Majora’s mask. As he is slowly pulled to the earth, forced into becoming a killer on a massive scale, he sheds a single tear for those whose lives he will take. Poor guy. Also, the Moon is the only character I know that stores a field in his mouth. Also there are children here. As with most Zelda games Majora’s Mask boasts a variety of music and sound effects ranging from beautiful to silly, with some nightmarish throwbacks to Ocarina of Time. In an attempt to not go overboard, I’ve picked my top two songs to cover in a bit more detail. I was originally going to try for three, but these two songs alone gave me plenty to say. First and foremost my favorite song from the game. Even as a kid, this song struck a chord, easily becoming my favorite. The first time I heard this song as a kid without a clue its beauty took my breath away, and even today despite all the times I’ve listened to it I’m still awestruck. This song I hold as the best in Majora’s Mask is none other than the Oath to Order. 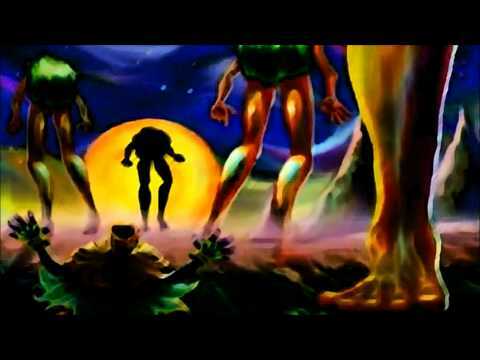 The Oath to Order is the song to be sung by the people of Termina when they most need the help of their four guardian Giants. By singing this song the Giants are called to order, summoned to fulfill their oath to protect the people. Link is taught the song when he frees the first Giant by dispelling the evil in the Southern Swamp. My first encounter with the song haunted me. Oath to Order contains so much emotion, ranging from the sorrow of parting, and the loss and troubles of the people of Termina to the hope represented by the arrival of the Giants, their affection for the people and the people’s love of them. The soothing yet sad tones of this song are what got me through the game’s temples. Knowing that I could help these guardians motivated me to solve the puzzles and defeat the bosses. My reward was listening to this song as I spoke to yet another Giant, and gleaned a bit more information about the Giants, Termina and Skull Kid. The Giants themselves don’t do much until the end, and don’t speak all that much either. Oath to Order is what really gives them personality, and it speaks volumes to those who will hear it. For me, this song is a part of who the Giants are, and I love them every bit as much as this song. Coming in as my second favorite is the polar opposite of Oath to Order. This song holds no hope, instead encompassing the hopelessness of impending death. Time is up, all there is left to do is wait as the Final Hours tick away. Final Hours (or The End of the World) is the song that plays in those last hours before the moon is to crash into Clock Town, and even the fourth wall has fled, leaving you not with game hours to save the world, but scant real world minutes. This music plays as the citizens of Clock Town look back on their recent bickering and see the error of their ways. Their regrets bubble to the surface even as they realize there is nothing left to be done and simply await a crushing fiery death. The song’s haunting surreal sounds mimic the seeming impossibility of the situation. The actual end of the world? Such a thing seems hard to imagine, and here these people are living it. How does one even contemplate one’s final moments? Hale and hearty one moment and simply… gone the next? 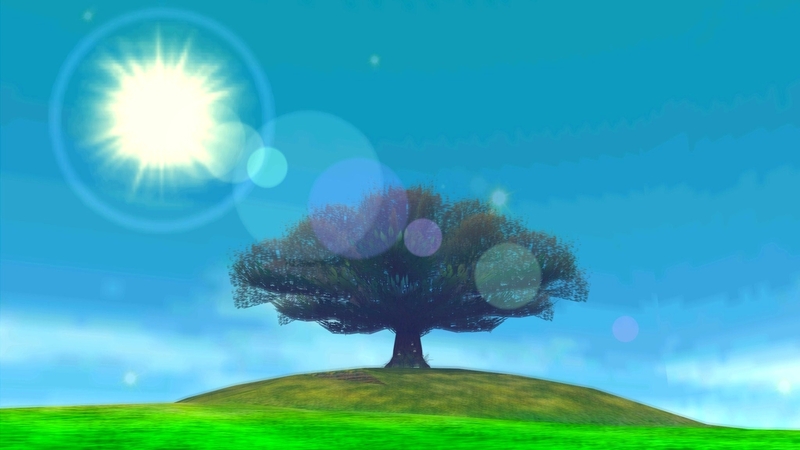 The music playing in these Final Hours conveys that inability to comprehend, the abstract sadness felt with a touch of bitter regret. No hope, no action, just a simple acceptance and waiting. The people of Clock Town are truly piteous in this song, and I always found myself sad for them, wishing I could tell them everything would be okay. See, I have a magic Ocarina that lets me go back in time! The song is a little dark, as it should be, but even so I tend to hold onto its hopeless notes as the Song of Time pushes the darkness back with the Dawn of the First Day. The Happy Mask Salesman is one of my favorite characters. Maybe. I see him as a sort of mystical figure of protection, not unlike the the four Giants. 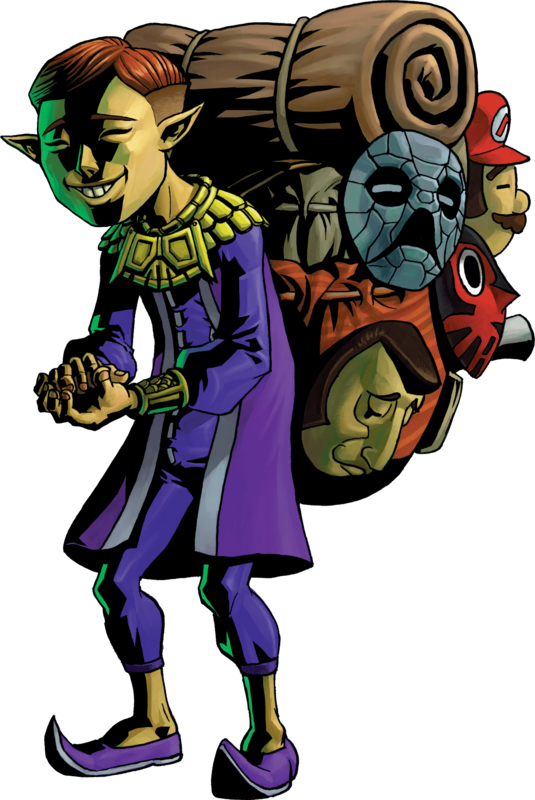 It’s no surprise that masks are a huge part of Majora’s Mask. There are 24 collectible masks, not counting the remains of the four dungeon bosses (which are not wearable) and each mask has its own story and abilities. There’s a mask for everyone! There’s even a mask for people who hate Link (if that’s even possible), the Bomb mask. Like most masks, it affixes to one’s face. Unlike most masks, its sole purpose is to explode. On your face. Not really something I want for myself, but Link just walks it off. This mask is only really useful until you get bombs, or right after resetting time before you collect any, and it’s not the only mask like that. There are a number of masks with limited usefulness (like the Mask of Scents which can sniff out truffles) but even some of these masks are just fun to use and all of them are fun to collect because you get to explore this world of Termina and really meet its inhabitants. Every mask is tied to a character, and each character has his or her own story to tell. Link can meet up with the spirit of a dead dancer who regrets not teaching his best moves to an apprentice. If Link can soothe his spirit he will earn Kamaro’s Mask. Kamaro’s Mask will make Link dance (and if he shows his moves to two specific ladies they bow down and call him “Master”). There’s even one mask that has the sole purpose of being used to get another mask, but even that has a story to it. The Bremen Mask. If you hold B while wearing the Bremen Mask Link will pull out his ocarina and march as he plays this really catchy tune. Using this song, Link can age chicks to chickens at Romani Ranch, and in gratitude their owner gives him the Bunny Hood! Link, in an adorable little Bunny Hood. The Bunny Hood is one of my favorite masks. All it does is let Link run faster, but in a game where time is of the essence, this is more important than you might think. All in all, there are far too many masks for me to cover each in detail, and discovering the story behind each one for the first time is one of the highlights of playing Majora’s Mask as it really brings Termina to life. One such story, the story of Anju and Kafei, is… not the best romance in video game history, but definitely memorable. Anju and Kafei were to be wed, before Kafei suddenly disappears. If you speak with Kafei’s mom she mistakes Link for a detective and sends him out to locate her son. Thus begins the longest, most annoying yet rewarding side quest in the entire game. To complete this quest (without a guide) requires intimate knowledge of the characters and their schedules. If you manage to meet everyone at the right time and do everything perfectly you can find Kafei, help him retrieve the Sun’s Mask (his wedding mask, which is traditionally required for weddings in Termina) from the lair of the thief Sakon and reunite him with Anju, one minute before the Moon is to crash into the earth. Doing this will net you the Couple’s Mask. If you want to get the Fierce Deity Mask though, you need to do most of the quest over again, only to change one detail (which causes you to miss the opening of Sakon’s Lair and fail to retrieve the Sun’s Mask) to get yet another mask, the Postman’s Hat. I’ve had this quest screw me over so many times, it’s not even funny. Well, maybe a little. Once, I made it all the way to the end and my system froze. No big deal, I started over at the Dawn of the First Day and redid everything. I got to just about the same spot when my cat decided the system needed to be sniffed. His little kitty cat nose almost made contact with the cartridge and… my system froze. Okay, by that point I was a little ticked off. I did it again, but screwed up all on my own by not solving the puzzle fast enough. One tiny mistake can force you to go back to the beginning, but even doing everything right yields only bittersweet results. Regardless of what you do, the story ends sadly. You can do everything right, and reunite Anju and Kafei… so they can be together when they get crushed by the Moon a minute later. If you do nothing at all, the two are not reunited, Anju loses her faith in Kafei and skips town, and Kafei feels like a hopeless failure. If you give Anju the Pendant of Memories she’ll recall Kafei’s steadfast love and wait for him through her final moment… but if you don’t complete the quest she will wait in vain, alone in her room believing to the bitter end in a man who won’t show up. There’s quite a bit more to Majora’s Mask to talk of that I can’t ramble on about right now. More music worth mentioning, more masks, some of the darker themes involved such as the inevitability of death and some of the lighter themes like faith and friendship. Majora’s Mask also boasts one of the better companions in the series with Tatl and her character arc. Not to mention the myriad of interesting characters such as the Bombers and the Igos du Ikana. Besides being chock full of wonderful characters, thought-provoking themes, rather difficult dungeons and wonderful music the game itself is just plain fun. That’s what you’d expect from a Zelda game, right? One thing I think gets overlooked too easily is the swimming. I have never played a game that did swimming as perfectly as Majora’s Mask when Link is wearing the Zora Mask. The game is not without quirks, though. The Hand in the Toilet. The one thing that truly terrified me as a kid, the Aliens on Romani Ranch. Don Gero’s Mask (which lets you conduct the Frog Choir). And let’s not forget… dancing redeads. To anyone interested (with a bit of time to kill) this article is a very interesting read. It’s been around for a while, but then again so has Majora’s Mask. So, what about you guys? To those of you who have played Majora’s Mask, which mask is your favorite? To those who haven’t played it, why not? What’s wrong with you?! Let me know in the comments below!